Every great meal is a result of flawless efforts by a cook. All best home-cooked meals begins in the pantry. If you can keep your kitchen pantry well-organized and stocked with all the spices and everyday staples, then it can serve you well. 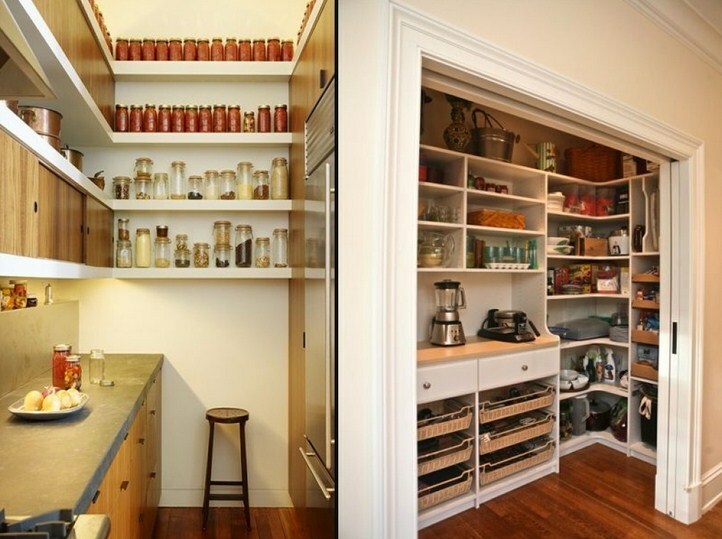 Here are 5 amazing ideas about the pantry designs for your home. Pull out shelves or drawers are a type of cabinetry that are very easy to use as they allow each shelf to be independently extended from the cabinet. Such kind of shelves are best suited in wooden material as they look elegant and classy. With sophisticated designs, pull out drawers provide you ease of access to all your spices or utensils, whatever you like to arrange in them. 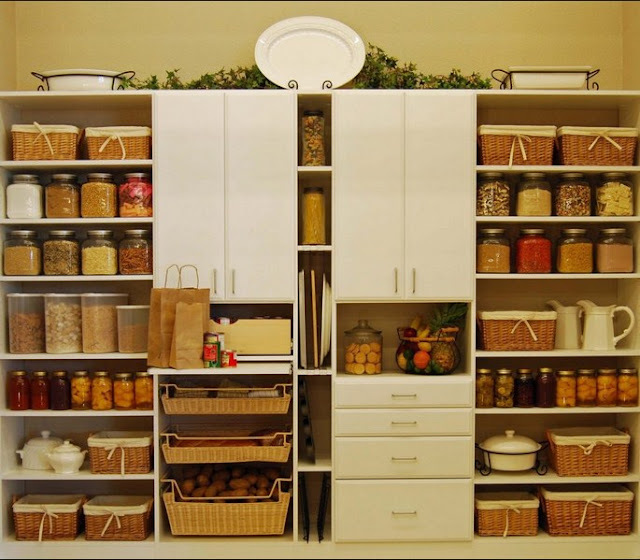 If you are feeling problem regarding storage in your kitchen or store room. 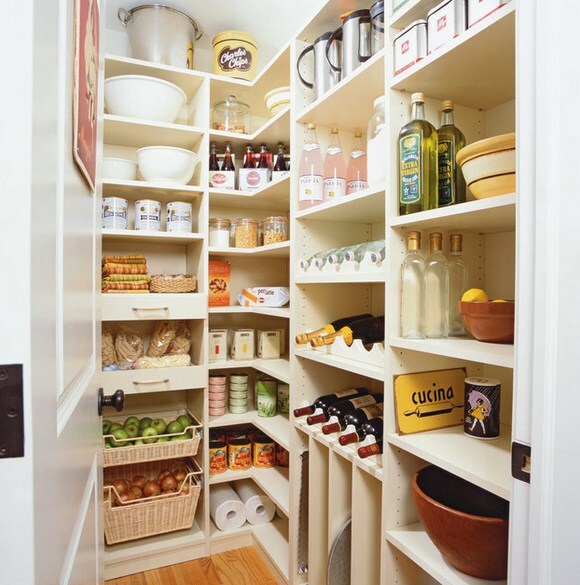 Then don’t panic or think to remodel your kitchen rather just add a free standing pantry to your kitchen or store room. Free standing pantry comes in variety of forms, from cabinets with shelving space to closing doors. Free standing pantry could be of any material, it could be wooden, steel, or iron. The most preferable is one which is light-weighted. The biggest advantage of it is that it could have wheels, which makes it easily moveable, so it’s not fixed at any one location hence you could place it anywhere you want to. Moreover, another advantage is that they are low cost so it provides you more space with stylish looks in a cost efficient manner. Wire decking or shelving is one of the most efficient way of organizing your pantry because it not only looks classy but is also affordable. The wire shelving is mostly in steel or iron material but a lighter type of steel is used so the shelve might not become too much heavy. Wire organizers are a proficient way of organizing or storing your material in a much safer way. These are safe, as adding decking to your pallet racks will increase the stability of the rack and the gated design will help to increase the effectiveness. Another advantage of wire organizers is that it enhances the visibility and increases flexibility. Wire organizers are a beautiful way to arrange your pantry along with the feature of enhanced visibility which helps you to save your time of finding things. Custom fit shelving is the classiest way of designing your pantry. 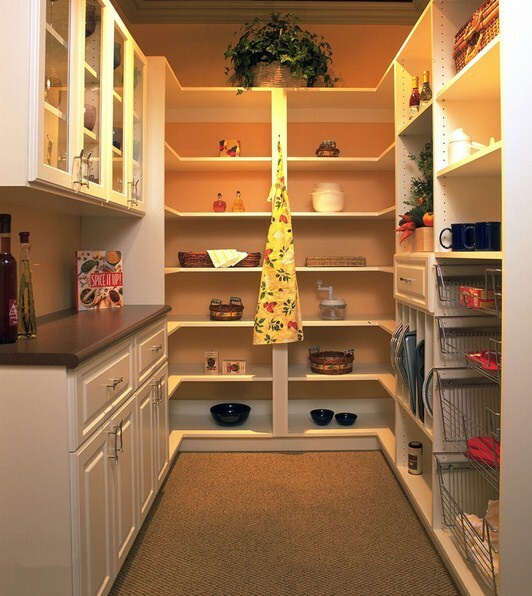 If you have a long walk-in pantry, then custom fit shelving is the best way to organize it. Such kind of shelving is in different material, such as wooden, metal, and wiring. Mostly, people who have an entire room reserved for pantry could have custom fit shelving. They could be door-closed or could be open. A turntable is an excellent type of pantry organizer, especially when your pantry shelf is higher and you have trouble seeing what you have. It is the best way to make access to things easy and quick. Lazy Susan includes drawers and shelves that swing out wooden modules and easy pull out. Another type o lazy Susan is tiered Lazy Susan which more vertical space and rotates out of reach access for more easy access. They are extremely stylish and classy which will give an outclass look to your pantry.